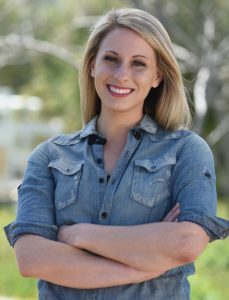 Rep. Katie Hill is an industrious progressive leader working to end homelessness and politics as usual. At only 31 years old, Katie has spent her career fighting to end homelessness as the Executive Director of People Assisting the Homeless (PATH), a nonprofit establishing affordable housing for the people of California. During her time there, Katie transformed PATH from a small, local organization to the largest nonprofit provider of homes in the state, and she championed the successful passage of historic ballot measures to mitigate homelessness in LA County. Katie, the daughter of a police officer and a local registered nurse, defeated GOP incumbent Rep. Steve Knight in one of the nation’s most competitive congressional districts in 2018. Katie is only the second openly bisexual member of Congress. She is a champion for LGBTQ communities, immigration reform, and rebuilding and protecting the middle class. Katie was named Vice Chair of the prestigious House Committee on Oversight and Reform, in addition to serving on the House Armed Services Committee and the House Science, Space, and Technology Committee.